U.S. Navy and Marine Corps researchers are asking industry to build full-scale technology demonstrators of a future reconnaissance armored vehicle to enable Marine battlefield reconnaissance units to fight through the enemy to gather and disseminate crucial intelligence information from the battle front. Officials of the Office of Naval Research (ONR) in Arlington, Va., released a broad agency announcement Thursday (N00014-19-S-B002) for the Armored Reconnaissance Vehicle (ARV) Technology Demonstrator Design, Fabrication, Test & Demonstration program. 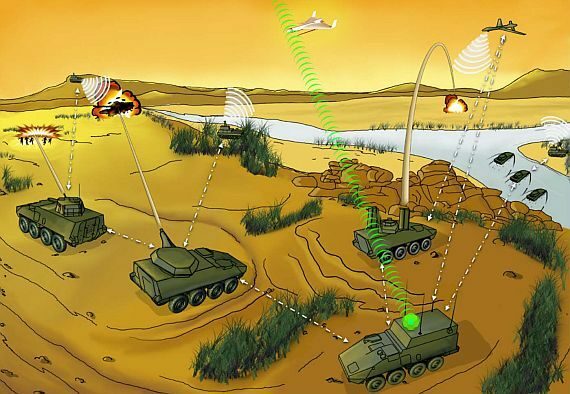 The future ARV will be able to fight for information on a complex and contested battlefield using an automatic rapid-fire medium-caliber cannon, remotely operated medium-caliber machine gun, and open-architecture vetronics to include sensors, communications, and battlefield networking. The project seeks to build two ARV variants -- a base model and an at-the-edge model to evaluate technologies, performance, and battlefield concepts. Contractors will build two demonstrators of each variant. The ARV demonstrators must be able to collect mobility data, determine reconnaissance and sensing capabilities, determine unmanned systems integration and operation, evaluate platform lethality, determine platform survivability, and evaluate overall performance. Technology demonstrators have modular open systems architectures, with an eye to future integration of third-party hardware and software and will enable third-party repair. The base variant and its vetronics will have an Average manufacturing unit cost of $6 million per platform for 500 units, with initial operating capability (IOC) in 2027. The ARV is a possible replacement for the U.S. Marine Corps legacy Light Armored Vehicle (LAV). It would support light armored reconnaissance battalions within the Marine divisions. I might be mistaken but I didn't see an "amphibious" requirement. Additionally this vehicle is slated to be more expensive than the ACV. No way in hell it can be a one for one replacement for the LAV.